Remember when Marcel was missing and he said "okay, it's his first time out, so he'll wanna do some of the tourist things... 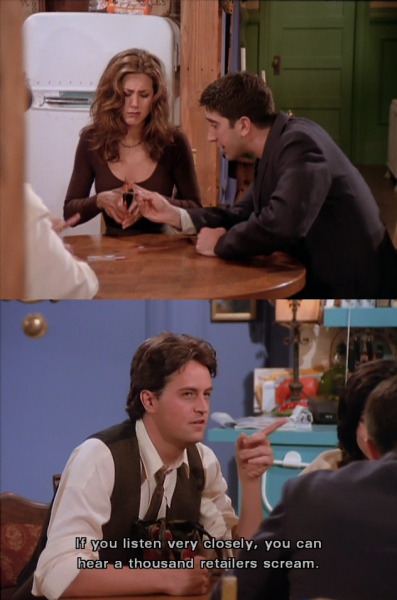 I'll go to CATS, you go the Russian Tea Room"
Chandler was like that with everyone but mostly with Rachel. It was never not funny. "I'm sorry, we don't have your sheep."